Applications for Beta Testing will commence in early January. You can still apply for Beta, and may be selected for earlier phases, however those meeting the following prerequisets will get favorability. All signed up and also they released the rest of the movie for the game now. Neo, you didn't get Legacy status ? I did >.> am I already included that I didn't have to apply lol? Also notice the chocobo that main character summons in the movie is the one that legacy members get. Yeah, Legacy members need not apply and can get invited as early as Phase 1! Heroes of Eorzea─your time has come! Phase 1 of the FINAL FANTASY XIV: A Realm Reborn Beta Test is scheduled to begin on February 25. We will begin sending notification e-mails to players accepted as beta testers in the near future, so keep an eye out for your summons. Schedule is up and so is the list of servers, using the M method should we roll on Moogle? I'll see ya there and stay moogle my friends! 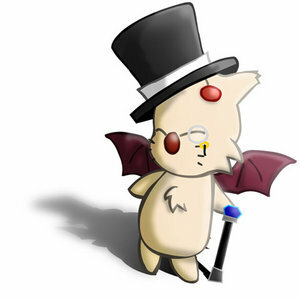 On Moogle as Neo Lancer. As a cat man meoww!